IF I’M NOT A TYPE A WOMAN, CAN I STILL COME IN? Yes, chiropractic is for everyone with a nervous system…yes, that’s you. At Vital Family Chiropractic, we take care of the WHOLE FAMILY. Our passion is to help Type A women because they are busy taking care of everybody but themselves, AND we serve the entire family. HOW DO I KNOW IF I’M A CANDIDATE FOR CHIROPRACTIC CARE? Chiropractic is for everyone but not everyone is ready to begin care at this time. Long before symptoms show up, dysfunction can be detected and corrected in your nervous system. A fully functioning nervous system will help you adapt to the stressors (physical, chemical and emotional) that we experience in life without the negative health consequences that we often experience when we are stressed out. Absolutely! In fact, chiropractic care is very beneficial during pregnancy. Not only does it allow for the mother to feel her best throughout the entire process but by balancing the nervous system, relieving stress, improving pelvic alignment and decreasing any tightness in the pelvic muscles/ligaments, studies have shown that chiropractic care during pregnancy leads to faster and easier deliveries with less interventions. Our care is gentle and specific and mothers’ comfort is our utmost concern. It is important to begin care early in your pregnancy to address structural/neurological imbalance BEFORE the stress of the weight of the baby begins to affect your body. If there is a faulty foundation to begin with (even if you FEEL fine), the added stress from altered body weight will only increase the problem. Chiropractic care has the greatest impact on children. 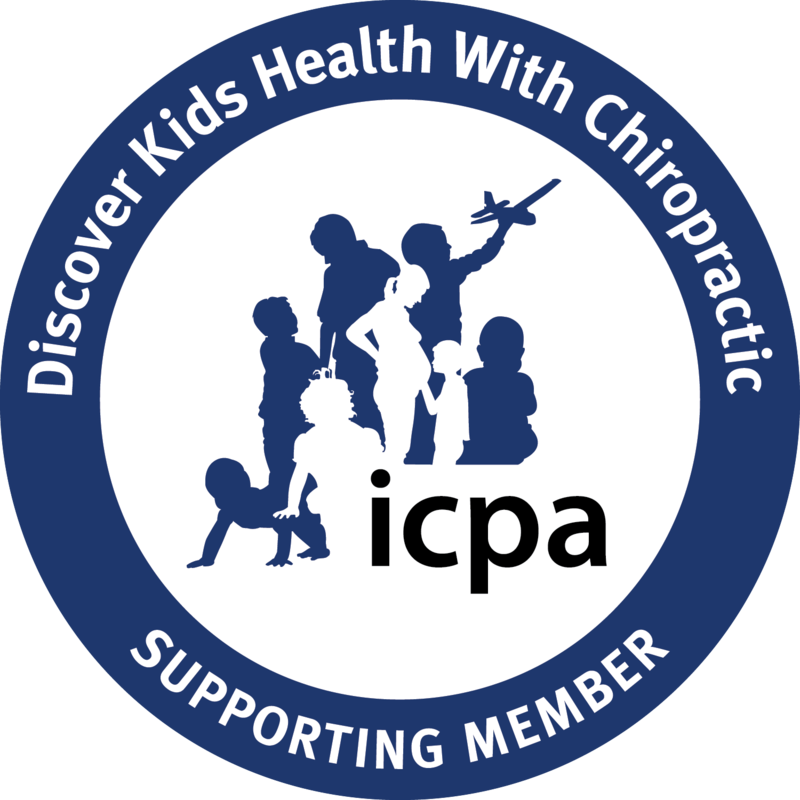 Studies have shown that regular pediatric chiropractic care can boost children’s immune systems, improve sleep quality, even improve behavior and attitude. If there is any stress in your child’s nerve system, they will not be able to adapt as readily, heal as quickly, and thrive, as we so deeply desire for them. Stress or interference in the nerve system is like a dimmer switch in a room; the more interference present, the darker and therefore the less function that entire environment has. It is much better (and easier) for the family to keep children healthy than it is to help ailing adults. The techniques Dr. Mandy utilizes are safe, gentle, and very effective for the uniqueness of a little one’s nervous system and spine. In fact, the same pediatric techniques are adapted for the adults we see here too, so all everyone can benefit from gentle chiropractic care. WHY SHOULD I BRING MY INFANT TO THE CHIROPRACTOR? Is your infant breast feeding, sleeping, and digesting optimally? There are a lot of forces to the infant’s spine even during a non-complicated birth. Making sure the nervous system can function free of interference will help baby’s development. Dr. Mandy’s techniques specific to infants utilize only the pressure you would use to check the ripeness of a tomato. Yes. Chiropractic is recognized as a conservative, drug-free and non-surgical approach to health and wellness. Chiropractors have one of the lowest malpractice rates of all healthcare professionals. The risks associated with chiropractic are very small and no more likely than a soreness you might feel after starting an exercise program. Research shows that minor discomfort or soreness post adjustment typically fades within 24 hours. There is some controversy surrounding the risk of stroke with upper neck adjustments. Evidence shows that this type of injury takes place spontaneously in patients with existing arterial disease. In fact, the risk of a stroke from a chiropractic adjustment is 1 in 1 MILLION (Haldeman DC, MD, PHD, Top Clin Chiro. 1995; 2(3 ) That means you have a higher likelihood of getting struck by lightning. You do not HAVE to go forever, but people CHOOSE to incorporate chiropractic care as part of their wellness lifestyle. They know what good health is and what it feels like for the body to be well. Similar to going to the gym or eating well to stay healthy, or going to the dentist for regular check-ups, chiropractic check-ups and care ensures the body is adapting and functioning well to our high stress lifestyle. The goal of chiropractic is to normalize the function of the nervous system of each and every patient. Once this has been accomplished, true healing begins to occur. Many people use chiropractic “maintenance care” to function at an optimal state of health. The frequency of treatment depends on lifestyle factors such as exercise, stress reduction and nutrition to name a few. Chiropractic does not have to hurt to effective. In fact, Dr. Mandy will only adjust when your nervous system is relaxed because our goal is to get you out of fight/flight and a guarded nervous system is a nervous system on alert. With gentle, resonance-based adjustments, Dr. Mandy waits for the invitation from your body that it is safe to adjust and delivers the adjustment then. Sometimes a person may be sore after their first few adjustments. The degree of soreness is the same as a person may experience after exercising at the gym. This soreness is caused by the body adjusting to the realignment of the spine which has been in the same position for a long time. Think of it as a new gym routine; muscles, ligaments, and tendons need time to readjust to the re-alignment of your spine. Every patient is unique. While we all have similar anatomy, we all have had different life experiences that greatly impact our health. This is why Dr. Mandy recommends care plans unique to each individual. Often there is an intensive phase of care while we get your brain and body communicating properly again. It took some time to get into this dysfunction and it will take some time to reprogram your neurology to a new normal. Afterwards, visits will be less frequent as your body holds the adjustment longer until you reach a phase of maintenance or wellness care. DOES CHIROPRACTIC REALLY HELP MORE THAN BACK PAIN? Yes, Chiropractic care is successful with a wide variety of health problems not necessarily considered “back” problems because the focus of chiropractic care is the improvement of nervous system function. Employing chiropractic care for occasional pain management is a bit like driving a really nice car, but never going above 20 mph. Yes, that works, but what more is possible, if you open the throttle? Many people initially seek care because of pain, as pain is a very good communicator. However, once people begin care, they see such an improvement in their QUALITY of LIFE that they choose to keep coming back to be checked for interference to their nervous system. Once that interference is out of the way, true healing and optimal living can occur. Don’t you deserve to express the BEST VERSION OF YOURSELF?!? Have you ever wondered if there is some secret you are not aware of that could put you on another level in your life? Something that increases energy levels, sharpens focus, improves your mood, and supercharges your immune system? Staying regularly adjusted simply lets your body do everything at a higher level than you ever thought possible. It is the difference between driving a Honda versus a Ferrari.